Located in Queensville, Ontario. Available Outdoor board only. 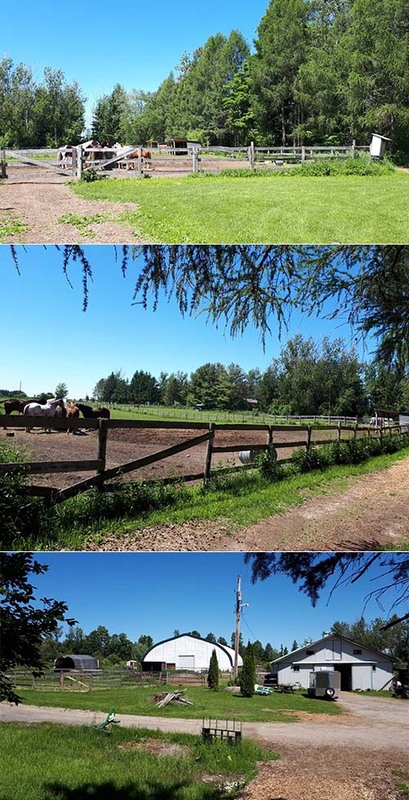 Small, friendly barn with all disciplines. Board includes great quality hay available 24/7 supplied all seasons, big paddocks with shelters, automatic water troughs, 80' × 120' indoor dustfree arena, outdoor arena, round pen, hacking areas and you get your own DIY 10' × 10' stall and tack box. You can bring your own vet and farrier and you can bring your own instructor providing they have proof of their own instructor liability insurance. Board is $350 inclusive. Please call or text Vicky at 905-960-2736. Unbridled Equestrian. Email vickyayres@hotmail.com.